Simply classic! 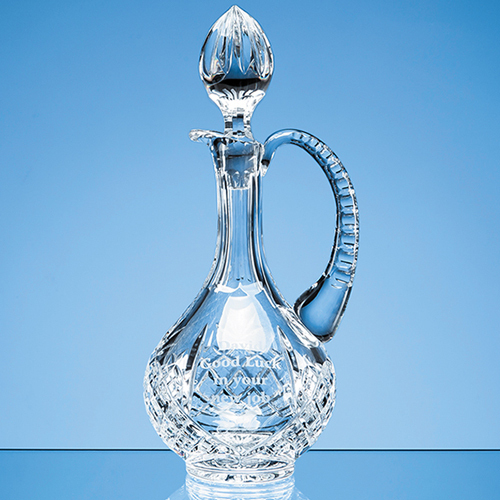 This stunning, 0.5l cut lead crystal claret jug with an elegant long neck and stopper would make the perfect club trophy or award. With traditional diamond and wedge cut pattern it incorporates an engraving panel to include a logo, club crest or wording to create a trophy that will take price of place in any display case or award cabinet. Available also as an optional satin lined presentation box.